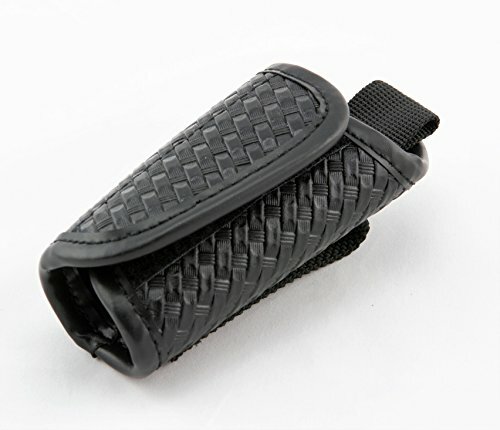 TECH118 Silent Key Holder- Basketweave Police Duty Belt Silent Key Holder by TECH118 at Practical Tactical Podcast. Hurry! Limited time offer. Offer valid only while supplies last. Duty belt silent keyholder with basketweave finish. Molded silent key holder. Secures and silences keys. Fits both 2'' and 2.25'' inch duty belts. Duty belt silent keyholder with basketweave finish. Molded silent key holder. Secures and silences keys. Fits both 2'' and 2.25'' inch duty belts. Basketweave pattern and finish. Quality Velcro® wrap around closure with brass snap inside. Synthetic scuff resistant material provides the look and feel of leather without breaking down. Molded synthetic scuff resistant and easy to clean material that is strong and durable. Fits both 2' and 2.25' inch duty belts. Quality Velcro® wrap around closure with brass snap inside to silently and safely secure keys. Quality basketweave design and pattern. View More In Gun Belts. If you have any questions about this product by TECH118, contact us by completing and submitting the form below. If you are looking for a specif part number, please include it with your message.